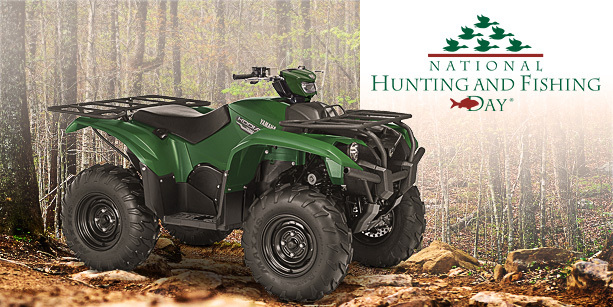 Yamaha Outdoors is celebrating National Hunting and Fishing Day by giving you a chance to win this sporty, brand new Yamaha Kodiak ATV worth over $8,000! One (1) Grand Prize: A 2016 Yamaha Kodiak 700 Hunter Green EPS ATV, approximate Retail Value (“ARV”): $8,199. This Sweepstakes ends on 10/31/16 and you can ENTER ONCE to win.